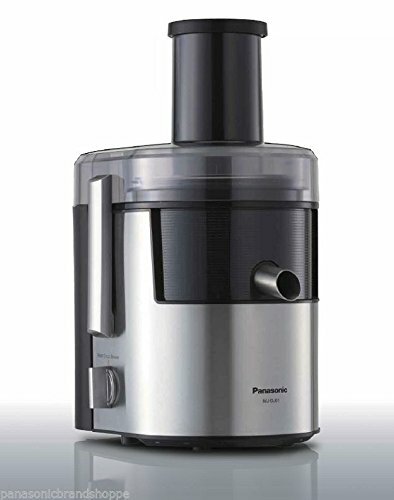 The Panasonic 1.5 Litre Apple Juicer with metallic body is a combination of silver and black which is perfect juicer for your kitchen. It features a full metal spinner that offers durability, high extraction and easy cleaning. The 120 degree swivel spout with anti-drip gives you complete convenience. This apple juicer has a large feeding tube that can easily fit a whole apple. To Recieve updates and possible rewards for Panasonic MJ DJ 01 please sign in. To Recieve updates and possible rewards for Juicer Mixer Grinder (JMG) please sign in.